Are you stuck for last minute gift ideas this holiday season? 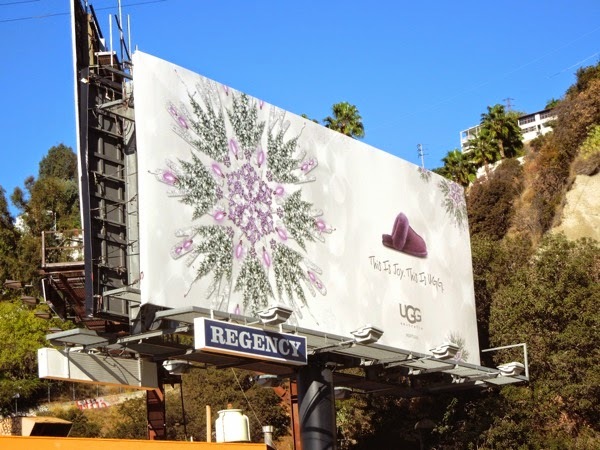 If so, then UGG Australia has the perfect present inspiration for you, be it comfy slippers and moccasins, to snug fashionable boots. The footwear brand has really embraced the festive season in their creatives this year, with a Christmas decoration design theme to accompany their surprisingly small product shots (which makes for a refreshing change by the way, sometimes subtlety works). 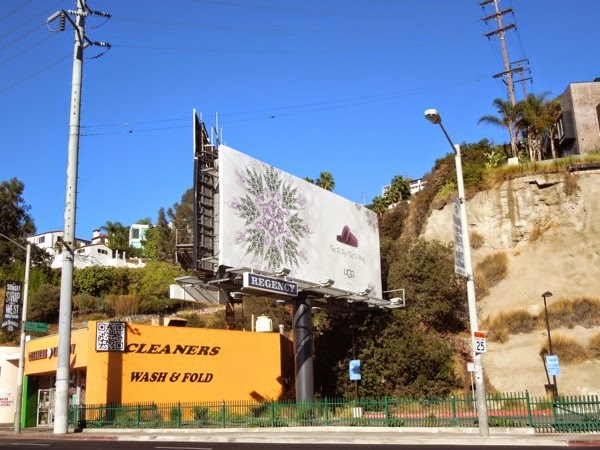 The 'This is joy' purple slipper billboard was first snapped on November 27, whilst the leopard print moccasin billboard was spotted on November 29 along Highland Avenue. 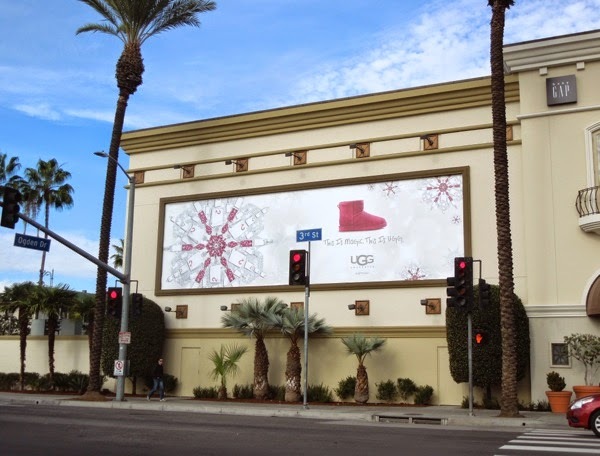 Meanwhile the 'This is magic' UGG boot ad creatives were photographed at the intersection of La Brea Avenue and Beverly Boulevard on December 9, plus along 3rd Street at The Grove shopping centre on December 15, 2014. 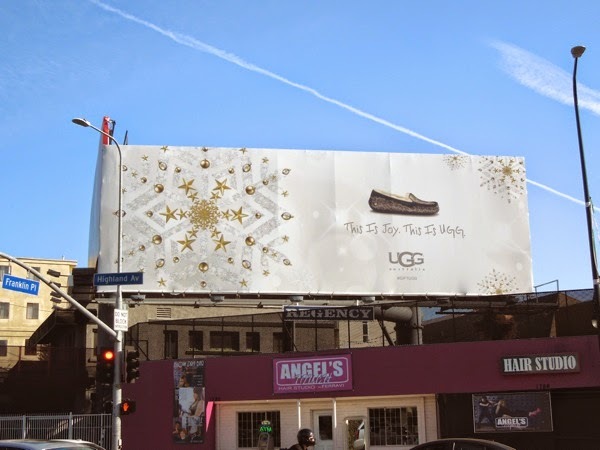 Most years the toasty warm UGG products can seem a bit out of place in hot and sunny L.A., but this year with the recent rain and chillier temperatures at night, Daily Billboard is sure these comfy slippers and boots will be the perfect gift idea under the tree this Christmas. 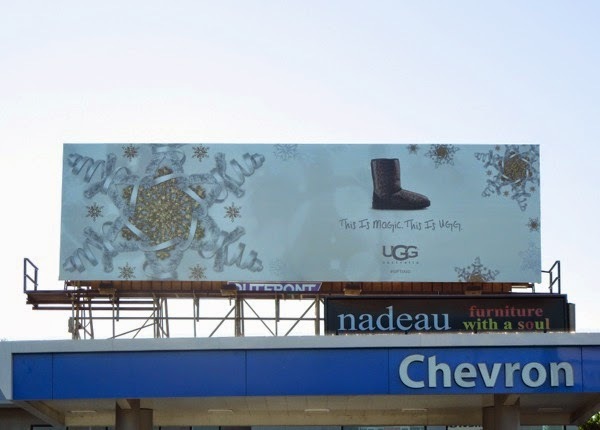 If you like this festive outdoor ad campaign, be sure to also take a look at these UGG Australia billboards from previous years to see the different design approaches. 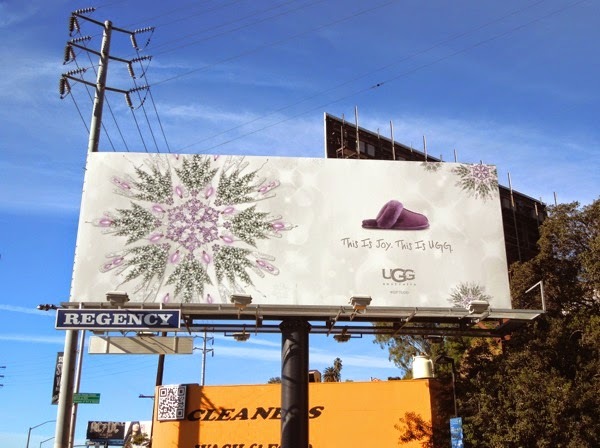 Are you tempted to treat your feet to something snug and warm this holiday season?